Kevin Buttigieg (left) and Jeff Buttigieg. Remax Malta has registered another record year which saw the company turnover in 2016 hitting the €600 million mark. Throughout 2016 Remax Malta registered growth on all fronts and all areas of operation. “2016 has been a phenomenal year of growth which has exceeded all our expectations. We have registered growth in all sectors especially property rentals, where the increase is just short of 40 per cent and buy to rent which saw a marked increase in the past financial year. 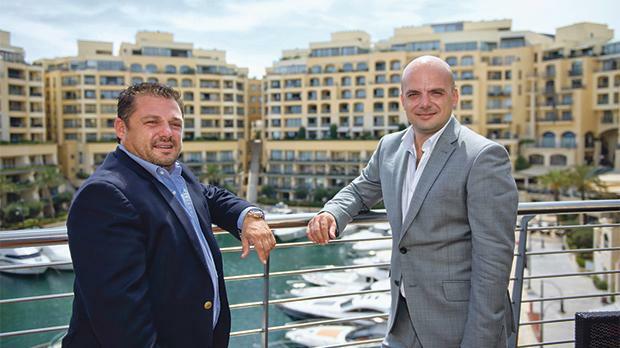 This is mainly due to a bolstering economy which saw an increase in the supply and demand for quality properties, especially in the lifestyle developments sector,” said Kevin Buttigieg, managing director of Remax Malta. “This is by far the best year ever in our 12 years of operation. During the past year we have seen a marked improvement in the service and consultancy being offered by our sales and letting associates, which is the fruit of our continuous investment and coaching of our human resources. We have introduced property auctions, inaugurated four branches and employed close to 100 new sales associates and administration staff. “Today, with a staff complement of 400 people spread in 22 offices we have continued to consolidate our position as the largest real estate agency in Malta. In 2017 we will also be travelling to different continents including the Middle East, Europe and the United States to promote the various residency and investment schemes offered by the government as well as Malta as destination for holiday homes,” added Mr Buttigieg. Kevin Buttigieg said that the local market retained its position as a pillar of the economy. He said over 75 per cent of real estate sales came from local investment especially first time buyers.